There can be no denying that from a career perspective, London is the place to be. The capital is the centre of the UK’s business world and most Brits who dream of climbing to the top of the career ladder find their way here eventually. However, while London is a great place to work, it’s not always the ideal place to live. Whether it’s the vastly more expensive house prices or the noise, traffic and sheer amount of people, many individuals choose to live outside of the city and travel in for work. The majority of these people are based in the so-called London commuter belt, which comprises counties such as Surrey, Berkshire, Hertfordshire, Buckinghamshire, Kent and Essex, and commute into the capital either by car or train. But what the pros and cons of this approach? Read on to find out. There are numerous reasons why people choose to live outside London even if they work in the city. For a start, the cost of a home is far less away from the capital and your money will go much further. There’s also quality of life to consider. 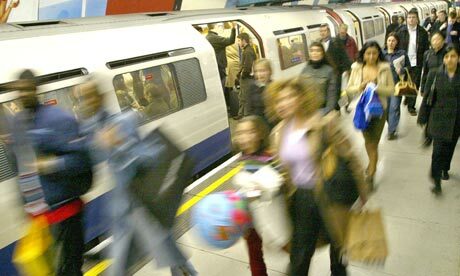 While London is the UK’s business centre, it can also seem crowded, noisy and, at times, dangerous. Living in the largely rural commuter belt bypasses these problems and allows you to enjoy the peace and tranquillity country life provides. What’s more, living in a rural area no longer means you have to put up with a slow and unreliable broadband connection. While traditional forms of broadband can be hard to come by in the countryside, alternative technologies such as satellite broadband are more than capable of providing a fast and reliable service. This means it’s possible to stay fully connected while at home, which can be vital for work and general day-to-day life. You can learn more about how satellite technology can improve rural broadband by contacting Avonline. Commuting into the capital doesn’t mean you have to forfeit urban life entirely however, as there’s plenty of sizeable towns such as Reading, High Wycombe and Guildford that are in easy travelling distance. These places are large enough to provide the comforts of urban living, but small enough to avoid the problems associated with the capital. While there are plenty of reasons to commute into the capital, there are a number of drawbacks you should consider as well. Cost is an obvious example, as travelling into London five days a week can be extremely expensive, not to mention time consuming. The price of a yearly season ticket on the train is in the thousands and fuel is not getting any cheaper. This all adds up and in some cases it may actually be more cost effective to stay within the capital. There’s also the social side to think about – if most of your friends and family live in the city, are you happy to be away from them? Also can you cope with being away from the facilities and entertainment opportunities that are within easy reach in London? This is just a quick overview of the some of the pros and cons associated with the commuter’s way of life, as there are plenty of personal factors you’ll need to take into consideration when deciding if it’s for you or not. Whatever you decide, ensure you think carefully about the impact on both your budget and general happiness and wellbeing, as commuting is a big commitment that shouldn’t be taken lightly.